I actually do have a whole box of decorating tips somewhere in my baking box, but ever since I was little, I’ve just found it easier to spoon ganache or melted chocolate into a plastic bag, snip off the corner (a tiny tiny bit) and pipe on whatever message I need, including but not limited to: “2017,” kids’ initials, nicknames, emojis, hashtags (anything but #MAGA). P.S. I mauled these pancakes within seconds of taking the picture. 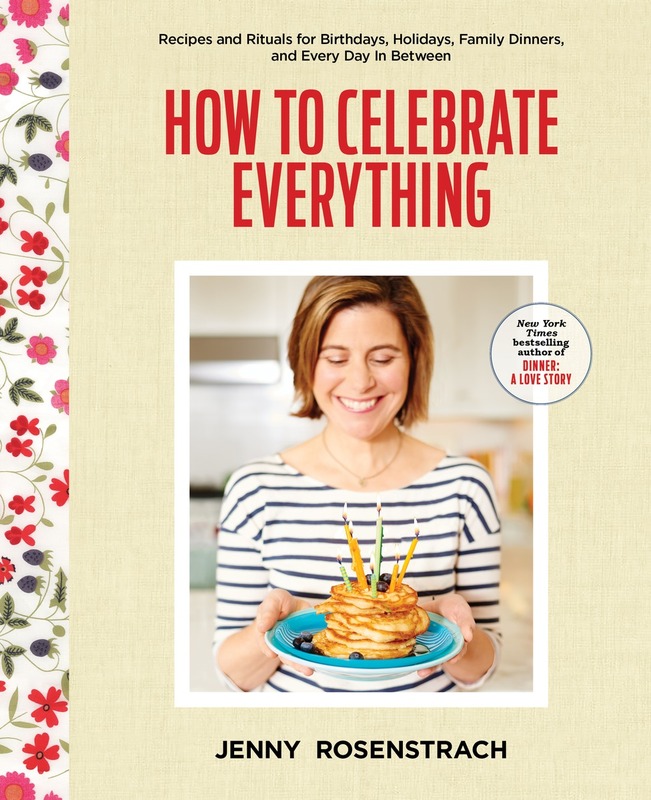 See page 149 in How to Celebrate Everything for the recipe (minus the chocolate chips) that will inspire the lifelong Sunday Pancake Family Ritual. Like always, we’re having some kids over for holiday cookie decorating, and this year I’m so excited to offer them not just boring old sprinkles and dyed frosting. No no no. THIS year, there will be luster dust (see pinkish cookie lower left, the one that looks like it was decorated by a toddler, but which was actually frosted by yours truly), the addition of which, I think, makes everything instantly more wintry and festive. You find it on Amazon and good baking stores. Lastly, Dorie’s Cookies by the legendary Dorie Greenspan. This is not so much a hack as it is a resource for hacks who no longer want to be hacks. Though Dorie is famous for baking (and in particular her cookies, who remembers her beloved Beurre & Sel in NY?) she’s never put together all her cookie recipes — 300 in all — in one place until now. And we should all be very glad she did. There are Meringue Snowballs, Jam-filled “Little Rascals,” Christmas Spice Cookies, and other A+ holiday options, but there is also the Beurre & Sel collection, and cookies for everyday, including biscottis, bars, brownies, break-ups, and a recipe for Snowy-Topped Brownie Drops that I baked last weekend to rave reviews, and that, come to think of it, would make a nice option for the swap. It’s Friday and I’m feeling generous! I’m giving away one free copy of Dorie’s Cookies to a lucky commenter. Winner will be selected at random and must live in the U.S. Deadline: Sunday, December 11, 8PM ET. Good luck! Update: The winner has been notified. Thanks for playing, everyone! Would love to have that cookbook in my arsenal!!! Thank you for the generous offer. I have added this book to my wishlist. Nobody in the neighborhood has organized the cookie swap for this year. But if I get the cookbook, maybe I’ll be inspired to make it happen! I am the worst at decorating cookies and come from a long line of wonderful bakers. Last year I even cried as I packed up my shipment for my dad’s cookies because they were so pitiful! Have had my eye on this cookbook! I love cookies, Dorie, and would love a copy of her new book too! That book is on my wishlist! Loved this post, and love Dorie’s recipes! Such a big Dorie fan but only get recipes online. Would LOVE an actual book! Dorie is the best! Her world peace cookies are one of my favorites. Thanks for the tips–now more happy things in my Amazon cart. Love the clever stencil tip for cakes, wow!! Dorie’s Cookies has been on my wishlist since it came out!! Awesome giveaway! I’m a terrible baker so any and all hacks greatly appreciated! Thanks Jenny! My mom was just asking me for a new holiday cookie recipe. It’s her birthday on the 16th, and a recipe from THE Dorie would be the perfect gift! 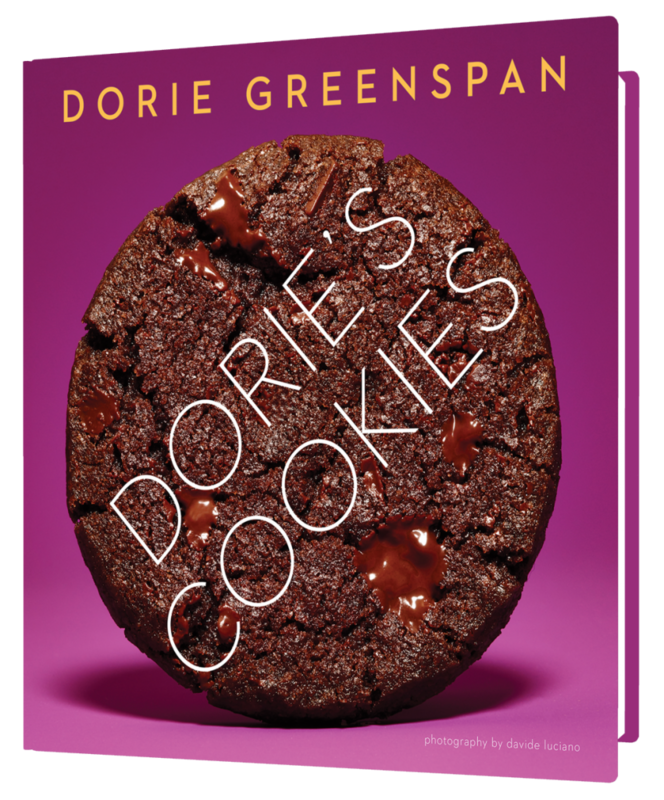 I just heard Dorie being interviewed about that book—would love to try some of her cookies. I have always wanted to try her “World Peace cookies’- now more than ever! Ooh Dorie Greenspan is the best! Happy holidays! I love your website and would love to have this book, too! Cookies are my dessert of choice. Happy Holidays! What a perfect treat in time for the holidays! Last year my hack was to spend an afternoon making cookies dough, then I froze it and baker as needed throughout the Holiday season. I would love to expand my cookie repertoire with some new recipes! I’m baking cookies this weekend – would love to learn from Doris a disciple of Julia Child! Last year my hack was to spend an afternoon making cookie dough, then I froze it and baked as needed throughout the Holiday season. I would love to expand my cookie repertoire with some new recipes! I LOVE DORIES COOKIES! Everything that she makes is incredible. Would love to have a copy of her book! My two year old and I made cookies together for the first time this week. I’d love to have this cookbook to pick our next baking adventure. This would be perfect for my annual family cookie swap! Thanks for the giveaway. I keep seeing Dorie’s cookbook everywhere online! My back-up cookie recipe is one of Ina Garten’s – the coconut jam thumbprints. Every year, I make them around Christmas and the whole family looks forward to them hot out of the oven. I love Dorie’s recipes and would love that book! Cookies are my favorite thing to bake, and I would love to get in the kitchen with Dorie’s new book! 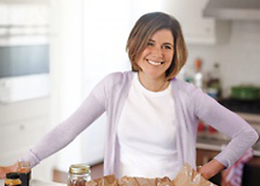 I love Dorie’s cookbooks but don’t have this one yet, so would be beyond thrilled to win it! This book would be great for my 11 year old daughter who has just started baking with friends. I’ve totally done the plastic bag trick before. I’ll have to try the stencil idea, too. And the cookbook? Oh, yum! 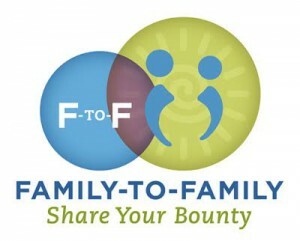 Would love to win! I need to step up my cookie game. I love making cookies at Christmas, and then I give them out as gifts. New recipes would be great. Dorie is the best! I always host a cookie swap — it’s a favorite holiday ritual of mine — and spend weeks and months obsessing over what to make. This would be an amazing and perfectly-timed source of inspiration. Am on the waiting list for that book at the library. Would love to get it sooner! Thanks for the opportunity to win this awesome cookbook!! I would LOVE to have a copy of of Dories Cookies!! I have been eyeing that cookbook! would love to get my hands on this book! I made Dorie’s World Peace Cookies – oh so good! Would love to make more of her recipes! Happy Holidays to you! A+ tips – thanks, Jenny! Dorie’s cookies are the best! Loved listening to a recent interview with Dorie! Fantastic! We are heading into Serious Baking Mode and I’d love Dorie’s book. Your cookies look great– that they look like they are decorated by a home baker, in my view, adds to their charm and makes them look more delicious (at least that’s what we tell ourselves over here). We are making German yeast cookies this weekend – 12 dozen – a childhood favorite with lots of family stories of the baking experience! Her World Peace Cookies are incredible! A cookie cookbook would be awesome!! Looks delicious! Perfect for a cold winter. My daughter is a huge baker, and would so love this cookie book! She just made our Thanksgiving pies from scratch (she is 11) and whipped up some chocolate chip cookies before bed two nights ago. Thanks! I’m convinced Dorie’s Cookies + Alice Medrich’s Cookies and Brownies are basically the only cookie books you’ll need for any holiday/special/ordinary occasion! What a great giveaway! I love baking cookies. I would love the book. I love your books! These all look amazing. And could even be done on store-bought goodies if you’re, ahem, like me. Thanks for the great ideas. 300 recipes for cookies sounds like a dangerous thing to have during the winter months. I love your blog and your books. That cookbook looks so wonderful, perfect for this time of year! One christmas season years ago when my friend’s now adult children were little, I gave my friend a fat, wrapped slab of homemade cut-out cookie dough, a tub of homemade icing, three plastic cookie cutters, and red and green sugars, so she could have the fun part of the cookie making without the drudgery of ~checking to see if you have ingredients~going to the store with the kids to get the ingredients you invariably don’t have~ finding 15 uninterrupted minutes to make the dough (hah! )~ finding the cookie cutters…–, they were in the junk drawer last year….? And realizing you forgot the colored sugar!! Arrgh…! Dorie’s Cookies! Oh, how I love Dorie! I’m just putting together my shopping list for holiday baking! Mm…would love to bake from this cookbook! When it comes to decorating, I”m firmly in the “it’s the thought that counts” camp. After all, nobody ever complains about design or execution when faced with homemade cake. Oh I want to try those snow drops! Dorie would help my family have a very merry Chrismukkah! Love your blog, Jenny! We recently did a meatball night and used your recipe — it was a hit! Thanks for the baking hacks. Dorie’s book looks amazing — would love to add it to my collection. I would be so happy to bake my way through that cookbook! 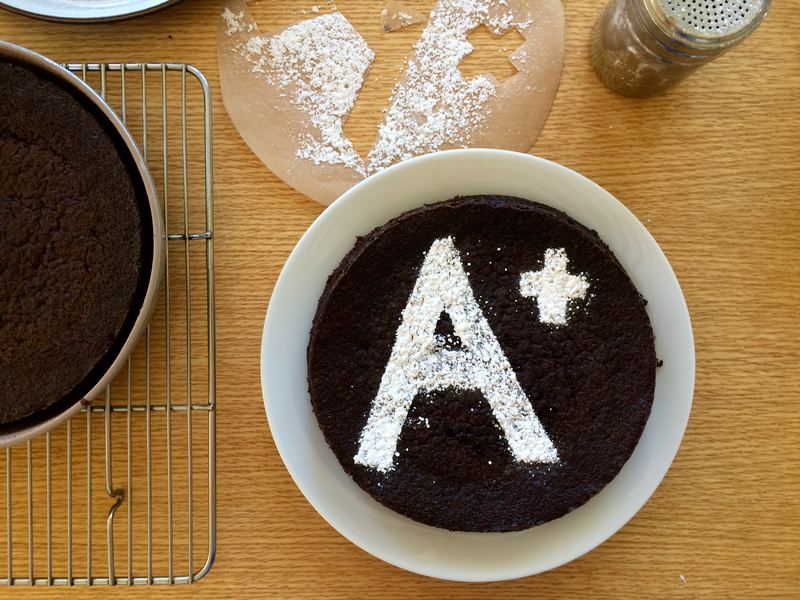 A+ baking idea! I want to bake cookies this weekend, and I’d love to have the book. I am crossing my fingers your book is under the tree for me on Christmas morning, and I’d so love a copy of Dorie’s Cookies, too! i am terrible at decorating cakes, so love the powdered sugar/sprinkle idea! Part of the joy of Christmas is Christmas cookies. Thanks for telling us about this book! I heard Dorie for the first time on the Radio Cherry Bombe podcast, and I instantly became a fan! Crossed fingers I win her book. I keep seeing the cookie cookbook everywhere! I’d love it! I would love that cookie cookbook! It’s the perfect time of year to try new cookie recipes! Thanks for the hacks and the book giveaway. Cookies!!! Nothing beats cookies this time of year. I love trying new cookies! Would love this book! Great hacks–especially the one about the baggie — quick way to write/decorate! The cookie book looks wonderful…I’d pick a cookie over almost any dessert! Ooh, Dorie’s book is on my to-read-and-use list. I make cookies for the family every week and would love some inspiration for new cookies! I would give anything for a tube of Dorie’s vanilla sablé cookies! Nom nom nom- lets make all the cookies! I would love to win this cookbook — I seriously need to up by cookie game, which is limited to chocolate chip and its larger cousin Monster. A family favorite is the Swedish tosca cookie shared by a lovely neighbor! One for me, please. and thank you! This book looks great! Adding it to my wishlist. Broke college student scraping her way through exams, currently eating a box of mac and cheese and peas (last things I had in the house, but also one of my favorite idiosyncratic combinations), dreaming of cookies and holiday celebrating! I’ve been hearing good things about her book. Thanks for the giveaway! Would love to add this to my shelves! And love the stencil idea – we have a lot of winter birthdays (one in a few weeks! ), so simple always wins! i would love to bake some of dorie’s cookies! Oh, man. Dorie Greenspan’s World Peace cookies…SO GOOD. That lady is magic. Cookie baking is one of my favorite things, and I can’t wait to check this book out! Oh man, Dorie Greenspan’s book would make amazing addition to my cookbook collection! Intrigued by the dorie cookie book! Oh my, I would love that cookbook!! I’ve been dying for a copy of this book! Love Dorie. Own Baking. Have made so many things from it. Another Dorie book would be a treat! Would love to up my cookie game with this cookbook! Thanks for doing a giveaway!!!!! What a great giveaway!…just the inspiration I need for adding to our list of old favorites. Today’s my birthday and my husband gave me Dinner: A Love Story!! I checked it out from the library a couple years ago but I need my own! Also on my Christmas list is How To Celebrate Everything. Thanks for the great recipes! I’ve been lusting after this book. I have a few other baking “Bibles” and I desperately want to add this to my collection! Thanks for the giveaway! Pick me! I would looooove a copy of Dorie’s book! Oooh, I can just see all the cookies I can make with my 10 year old daughter! I’ve been eyeing this book since it was released! I love baking cookies and I have been eyeing Dorie’s book for awhile now. Oh wow, that would be a deadly book to have around the house. Deadly in a good way of course. I would love her book!!! I’m am going to get this book for my mom. She is retiring at the end of the year and will have some time to make cookies with her grandkids! Love me some cookies!! Happy Holidays. I would love a cookie cookbook! My husband is the cookie baker in this household. His chocolate chip cookies are so good that I’ve abdicated completely! …and I’ve been eyeing this It would make the perfect gift! Let’s be clear – I’m new to the name Dorie Greenspan (does a walk of shame ….) but now I’m insanely intrigued. Wonderful hacks — the underlying message being to go for it! Ooh, thanks for the tip on Dorie’s cookie book! I might have to add this to my Christmas list! YUM!!!!!!! Thanks for the tips!!! Was just thinking that I needed that cookbook for myself! Can never have too many good cookie recipes. Yay cookies! I would love this book! I love to see different types of cookies. I would love to have a cookbook full of yummy cookies waiting to happen! Thank you for the chance to win. I’m FINALLY realizing that I’m a much better baker than cake or cupcakes okie decorator. New recipes would be awesome! 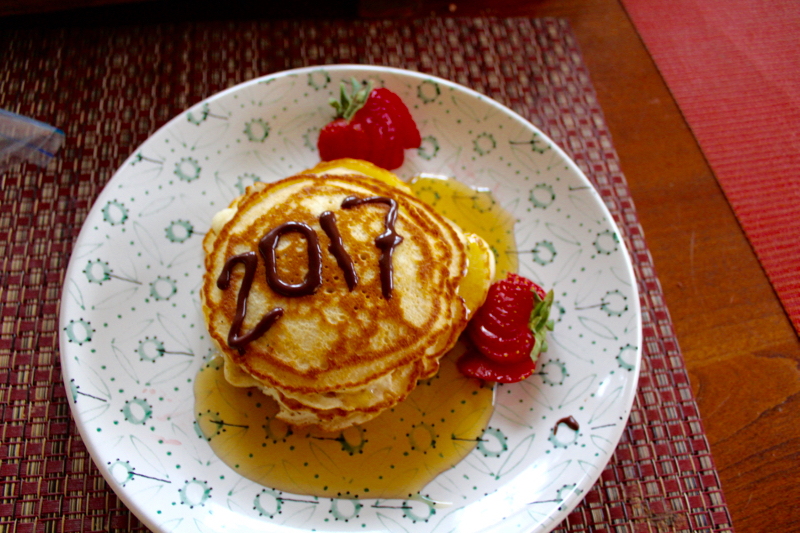 Love the parchment stencil idea- will definitely be trying that this year! Love reading your blog and your books too- my family has enjoyed many of your recipes. Thank you! Are those World Peace Cookies on the cover? That’s the only recipe of hers I’ve ever tried, and shame on me because they are SO FREAKING WONDERFUL that I should have run right out to try other ones too! Thanks for doing this giveaway! Jenny, I am not a baker, nor a fabulous cook, but I do have a 13-year old daughter who is going through some teenage stuff and I would love to bond over something, anything. Making cookies sounds perfect for this time of year and, as I have zero recipes for cookies, I would love to have her pick some out of Dorie’s book. I would over a copy of this book. She’s always in the Washington Post! I would love to win Dorie Greenspan’s cookie book! I want to know what the jam-filled Little Rascals are! YUM! I have all of your cookbooks and love your blog! Yes…I am a DALS groupie. Happy holidays to you and your loved ones. I always use the plastic bag with tip snipped off. Works perfectly. I need to try something other than the four kinds of cookies I always make. I hope I win! Something about the holidays turns me into a cookie baker! Hardly ever make cookies unless Christmas is near, but oh boy, it definitely makes everyone celebrate!!! Thanks for the giveaway! I love the stencil idea! Parchment paper stencil! Genius! So simple that I’m kicking myself for not thinking of it sooner! P.s. Love Dorie Greenspan! Would be excited to get this cookie book! I’m ready to start holiday baking and always make her World Peace cookies! Oh.My.WORD–Dorie Greenspan is sharing A.L.L. her cookie recipes?!? WOWOWOWOWOWOWOW! if i don’t win this–thanks for being so generous–i now have something to ask for for Christmas! Crossing my fingers I win the cookbook! I love you and Dorie! I’d love to add it to my collection; I know we’d get so much use out of it this time of year. Love cookies and would love that cookbook! Thanks for the giveaway, Jenny! Cookies are fun to bake and eat. Would love to have the cookie book! Read rave reviews of Dorie’s Cookies, I’d love to add it to my collection! Pick me please! Thank you! Love Dorie’s recipes…this cookbook looks terrific! I tried the Moroccan Semolina and Almond Cookies — tasty but very crumbly dough. I am not sure where I went wrong…. -mother of 3 boys who like cookies. Would so love to bake new cookies this winter from this lovely new book! Is it wrong that I am glad to have a toddler to blame my messy decorating on? Dorie is the best! I have the book already, but would happily gift it to someone. I love Dorie’s recipes! And I would love to work my way through this cookbook. I love Dorie Greenspan’s other cookbooks! I love the stencil idea!! Recipe research and baking are part of my early morning routine. Her book would be a great addition to add to my library! LOVE cookies! They are my favorite! I have been racking my brain to think of a Christmas gift for my sister-in-law. I would, of course, need to try a copy myself first and this would be a great opportunity. 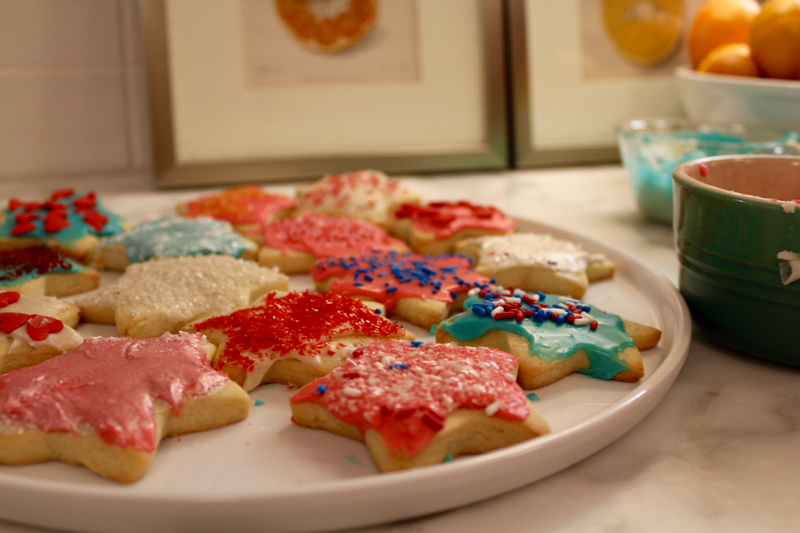 My Christmas cookie repertoire could use a little shake up! I have been curious about this cookbook since hearing an interview with Dorie Greenspan about it. Cookies are my hands-down favorite baked good. Fingers crossed! Oh, that Cookies book is on my wishlist for the holidays! Today we are making gingerbread houses and pretzel candies – a great pairing of extremes. We really do make the gingerbread pieces from scratch, but those pretzel candies are a cinch. Just Round pretzel wheels, a candy coating wafer in the oven for a few minutes, then top with a M&M. YUM! Now I’m in the mood to bake and decorate cookies! Would love to add this one to my shelf. I love being a retired grandma so I can bake cookies for my own family & my daughter’s family. I love having the grandchildren bake with me. I didn’t get to do much baking with my own children because of a busy teaching career. But they do remember my grandmother’s kolacky recipe. Finding some new recipes from your book would help create some new cookie traditions for the holidays. Thanks for your offer. Yum – the cookies look delicious! Such a fun giveaway as we commence with our cooking baking this week. Thank you! Would love this cookbook! Grandchildren love cookies. Thanks for the chance. Cookie palooza happening at my house next weekend! Um, THANKS for making me feel better about my incompetence at cookie decorating. It’s nice to know I’m not alone in my inability to flood icing. Also, thanks for the giveaway! Mmmmmmm this would definitely inspire me to complete my 52 weeks of cookies. the frosting in a bag with the corner snipped off bag is my favorite–i’ve managed not owning piping tips for years! That looks like a great cookbook! I love that first photo of the cake! Gorgeous! Love the cookbook, but just wanted to say yay to any hashtag but #MAGA. You made me laugh. You’re the best! I did the cake hack a couple weeks ago when my son passed his reading level. He was so tickled! Ha! I am so you! I called my Mom asking her if I could omit nuts from a russian tea cake cookie. I am totally stressing about the holiday cookie situation right now for some reason.